The Mares Flexa Therm semi-dry suit is a great exposure suit for diving UK waters. The Mares Flexa Therm semi-dry suit is a great exposure suit for diving UK waters for the majority of the year. Made of 100% 6.5mm ultrastretch neoprene this suit offers a great fit, unparalleled comfort and maximum mobility and flexibility both underwater and on the surface. A waterproof Masterseal zipper ensures increased thermal protection. A handy zippered pocket with D-ring on the right leg offers storage space for torches, SMBs or the 5mm hood which comes with the suit. 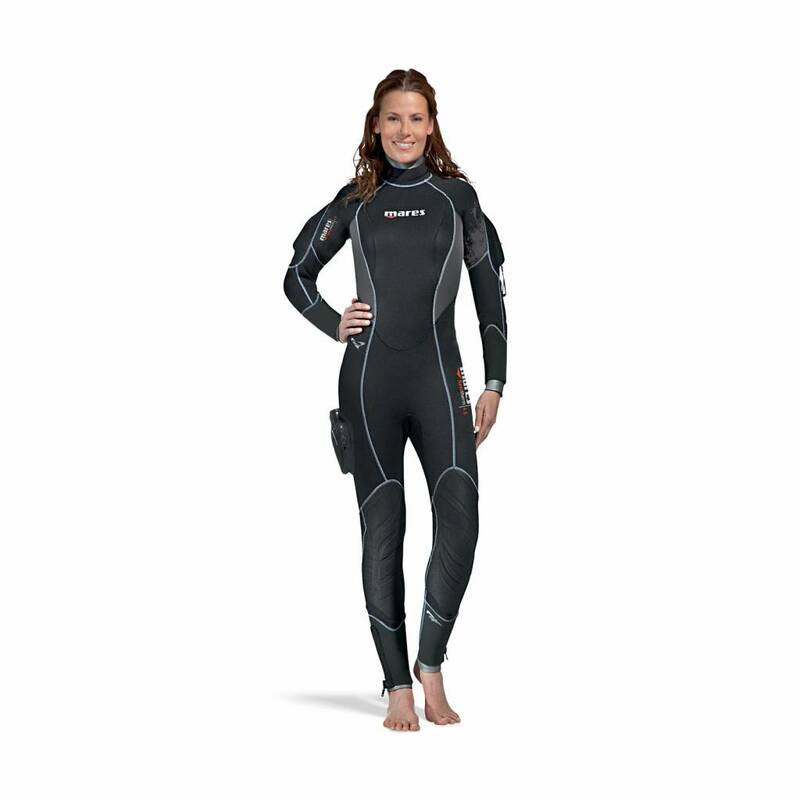 The women's Flexa Therm has been cut specifically to offer additional comfort and a flattering fit for the female diver.